Have you been searching high and low for just the right Jewish wedding rings? Well look no further. 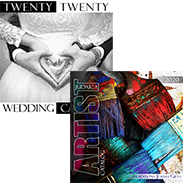 You will find the finest selection of affordable Jewish wedding rings right at your fingertips at Traditions Jewish Gifts. We offer a wide assortment of Jewish wedding rings and Hebrew wedding rings that are suitable for any price range. Picking out Hebrew wedding rings can often be a challenge for the prospective bride and groom, especially when shopping at traditional jewelry stores. 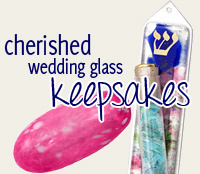 You will often find that the selection of Jewish wedding jewelry is limited. In many cases, the offerings are also overpriced. Traditions Jewish Gifts not only provides affordable Jewish jewelry—we also have an assortment of options from which to choose. It doesn't matter whether you're looking for sterling silver Hebrew wedding bands or gold Hebrew wedding bands, you'll find both at Traditions Jewish Gifts. Choose from the Sterling Silver Hebrew Wedding Band, Ornate Sterling Silver Beloved Wedding Ring, Hebrew Beloved Wedding Ring, Ani Hebrew Wedding Band, High Polished Beloved Wedding Band, Florentine Hebrew Wedding Band, 14k Gold Ani Li Dodi Ring and more. You can also pick up a beautiful wedding ring holder that will keep your Jewish jewelry from getting misplaced. When you're in the market for Hebrew wedding rings, make Traditions Jewish Gifts your online destination. We promise you'll find a fitting option that's as special as your big day. To shop for silver Hebrew wedding bands, gold Hebrew wedding bands or other high polished wedding bands, visit Traditions Jewish Gifts today.